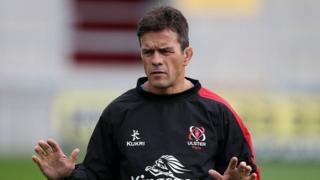 Ulster assistant coach Allen Clarke says there are still a "couple of aspects" in which the Irish province can improve ahead of their Champions Cup match against Toulouse in France on Sunday. Ulster need another victory over the French side to maintain realistic hopes of qualification for the quarter-finals of the competition, having triumphed 38-0 over the same opposition in Belfast last week. "Whether you are losing or winning games, it's important that you are always striving to improve," outlined Clarke.